RapidTax.com guarantees the security of our online service. 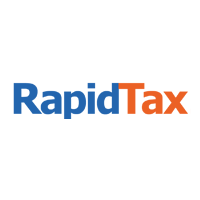 When you use RapidTax.com, we guarantee that your information is secure from online theft of your user ID or password and misappropriation of funds that you are entitled to. We have extensive security measures. We use Norton Symantec Security to ensure that any information you save will not be intercepted by potential hackers and thieves. We also use SHA1 algorithms and form security as an additional measure to make sure your information is kept confidential. If any information is ever intercepted, we will cover 100% any loss of funds that you incur.